“I have seen five such facilities in the country but this BioNEST facility is the best among them. Incubators are required in all government institutions for start-ups to commence their work,” said Professor. 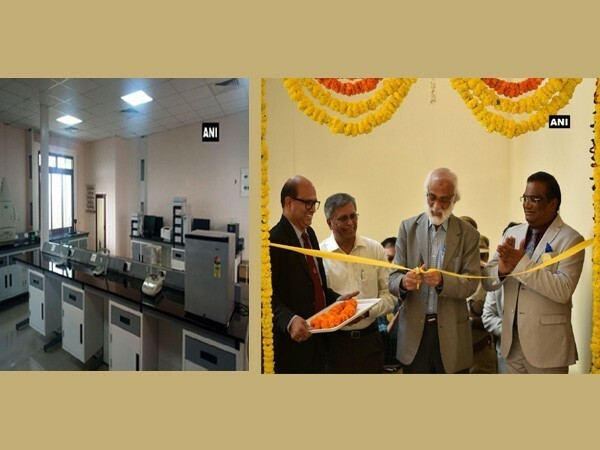 G Padmanaban, Padma awardee and former Director, Indian Institute of Science while inaugurating the BioNEST. “I have gone through 5,000 research proposals and out of that 700 are operational in 500 industries. They have developed 100 products out of which 50 have been commercialised’, Padmanaban added. Further congratulating the department and university, Padmanaban noted, “Such is the scope of research and I call upon the government institutions which are having 1000 laboratories to start such incubation facilities that can have start-ups capable of aligning with the research happening in the institution”. “This is an impressive facility and I am honoured to be here. I am happy to be associated as a mentor for this facility and confident that it will be one of the best in the country,” said Prof. Premkumar. “I am happy to be associated as a mentor for this facility and confident that it will be one of the best in the country,” he added. Professor. P Reddanna, faculty in the department of Plant Sciences, Principal Investigator for BioNEST says, “This 20,000 plus square feet facility can accommodate 30 startups and provide 16 benches for research. More than 350 PhD scholars, faculty is available in the School of Life Sciences who can help in collaborations and consulting for the start-ups”.